Texas Gov. Rick Perry has been spending much of his time lately traveling to other states with the overt aim of luring their companies and thus poaching their jobs. In the run-up to his recent trip to Missouri, Gov. Jay Nixon and other state officials have been seeking to turn the tables on Perry. Nixon also responded to Perry with his own radio spot arguing that the Texas ads are misleading and that, in fact, Missouri has a better tax system and business climate than the Lone Star State. Nixon criticized the Missouri Chamber of Commerce for hosting Perry. Good Jobs First has extensively covered the economic war among the states in several of our blog posts (for example, see Greg LeRoy’s primer for journalists) and in our Job-Creation Shell Game report, in which one of the case studies is dedicated to Texas. In the report, we found that “interstate job moves have microscopic effect on state economies.” Specifically, under Perry’s first seven years in the office only 0.03 percent of Texas jobs base annually came from corporate relocations. We recommended that state governments should spend time and money to encourage start-ups and to support expansions in their states, not to waste money poaching jobs from each other. We are encouraged by the report’s recommendations that small businesses receive assistance with resiliency planning and that more types of small business that be made eligible for SBA loans, and in a wider range of loan amounts. Also helpful is the call for more flexibility for community-based intermediary lenders. However, the New York City Economic Development Corporation, which is expected to allocate a significant portion of CDBG-DR funds for business resiliency and rebuilding, is lacking transparency on its existing non-CDBG disaster relief aid for area businesses. This lack of transparency is a bad precedent for company-specific disaster aid. An issue environmental justice advocates are particularly concerned about is that low-income neighborhoods and communities of color that have historically borne the brunt of hazardous waste dumping may have suffered additional damage as a result of Sandy’s storm surge. The Environmental Protection Agency’s “Plan EJ 2014” cited in the report is expected to provide various tools for community engagement and inclusive planning procedures. 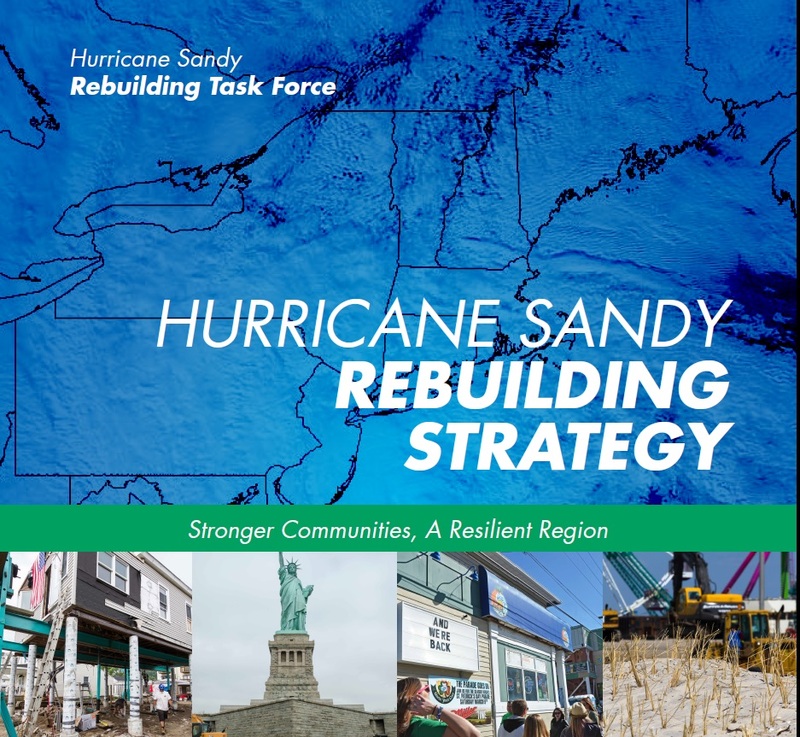 The Sandy Regional Assembly has been organizing and advocating for policies and capital projects to protect residents and workers from hazardous exposures in the event of severe weather, and create jobs for residents, as part of the rebuilding process. Better engagement on proposed use of funds – Both New York and New Jersey have provided minimal opportunities for residents to respond to public comment periods on proposed uses of Community Development Block Grant disaster aid. Regulations require a seven-day write-in comment period. Though New York City provided two weeks for its Partial Action Plan A, it only provided seven days for a proposed amendment to the plan. Nobody wants to slow funds from getting to the people and small businesses that need them, but the Task Force’s recommendation to expand local capacity building rings a little hollow without requiring better opportunities for engagement. Multiple references to the waste and abuse of government funding after Katrina are cited as reasons for greater government oversight of recovery funding and accountability, both within government agencies and to the public. 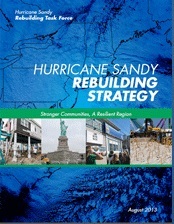 The successful oversight of funds allocated by the American Recovery and Reinvestment Act (ARRA), via the Recovery Accountability Transparency Board – which is also providing transparency of the Sandy disaster relief–reinforces the idea that greater transparency is possible and strongly supported by the public.